High-quality speakers can make or break your new car stereo. After upgrading your head unit, speakers are the next component of your sound system you should think about upgrading. The head unit is, after all, integral to your car stereo system, and if you upgraded to a unit with a built-in amp, then you’re good to go with high-quality, high-performance speakers. But with so many options to choose from, where do you begin? Aside from a visit to your local car stereo experts here at AudioMotive, we’ve put together a handy guide to help you find the speakers that’ll get you the sound you’re after. Full-Range, Component, Coaxial, Woofer, Tweeter, Subs… What’s it All Mean? There are plenty of speaker terms out there to sort through. If you’re new to car audio, it can be a little confusing, especially as some terms are just alternate names for products you already know. The first choice you need make is whether you want full-range speakers or component speakers. Both have their pros and cons, but chances are, if you’re looking to upgrade your speakers, you’re going to want component speakers. A component speaker system consists of separate woofers, tweeters, subwoofers, and external crossovers that are all designed to work together to produce the best possible sound. Woofers are the largest cones in speakers, used to reproduce bass and lower mid-range notes. Tweeters are drivers that are mounted onto woofers to reproduce high-frequency sounds. Some speaker models will have additional drivers for mid-range frequencies (mid-range drivers) and ultra-high-frequency reproduction (super-tweeters). Subwoofers produce even lower frequencies than woofers, providing extra bass for your sound system. Unlike woofers and tweeters, subwoofers are not part of full-range speakers, and get added to car stereo systems separately. Full-range or coaxial speakers contain all elements of a speaker to reach the full range of sound frequencies. In short, these are single, individual speakers that contain all the woofer and tweeter features you’re looking for in a single package. Cars typically have two full-range speakers, one on each front door. This can greatly simplify your speaker upgrade, assuming you want the all-in-one approach. These speakers come in a variety of styles, sizes, and power-handling to easily replace old speakers in your car. Full-range speakers are usually more affordable, easier to install, and take up less space than component speaker systems. That said, if you only listen to talk radio, podcasts, or audiobooks, you won’t notice much of a difference in sound quality between full-range and component speakers. If you’re a budding audiophile, though, or love to listen to music, component speakers will give you that better sound quality you can appreciate. To choose the best speakers for your car stereo system, you need to match your speakers to the amp and head unit. There are two important factors to consider when looking for speakers that match your sound system. Speaker sensitivity is a measure of how much sound a speaker produces from the power it receives. In other words, how a speaker converts power (watts) into volume (decibels). Sensitivity is rated in decibels (dB). The higher the rating, the louder the sound produced by the speakers. Speakers with high sensitivity ratings (over 90 dB) work best with low-powered car stereos. For example, low-powered stereos typically have 15 watts RMS per channel or less and are typical of factory-installed car stereos. Speakers with low sensitivity ratings (under 90 dB) match high-power car audio systems. High-power systems use 16 watts RMS per channel or more. Aftermarket car stereo systems and external amplifiers tend to have higher power. If you’ve recently upgraded your head unit, you’ll likely need low-sensitivity speakers. A speaker’s power handling, like the term suggests, refers to how much power (in watts) a speaker can handle from a receiver or an amp. The key rating for power handling is RMS, or root mean square. Watts RMS refers to the average (or mean) power of a system, not the peak or continuous power level. In fact, watts RMS isn’t the most accurate term but is so commonplace that it’s become the de-facto unit of measurement for average power in an audio system. The lower number in this range refers to minimum power needed to get quality sound from your speakers, while the higher number refers to the maximum power your speakers can handle. Speakers for low-powered stereo systems don’t need a high power-handling. A good match for low-powered systems is a speaker power-handling of 2 – 50 watts RMS. But a powerful aftermarket sound system will need higher speaker power-handling (e.g. 10 – 80 watts RMS) to match the higher power output of the amps. Make sure to pay attention to the maximum RMS power handling rating, and not the peak power handling rating. The maximum RMS power-handling rating refers to the amount of power a speaker can handle continuously. This is a more realistic measure for quality sound in your car stereo. For the best results, match your power source levels (RMS or continuous watts) to the higher part of the speaker’s recommended range. To ensure your speakers provide the best possible sound, and to avoid damaging other systems in your car, you should get your speakers installed professionally. Unless you are a skilled car audio speaker installer, you may risk damaging other wires and systems in your car when installing speakers. To avoid future headaches and visits to the mechanic, the wiring is best left to the pros. Another benefit to professional installation is that the audio experts know which speakers work best in your car and can help you find the right speakers for your car, budget, and sound preferences. Since not all speakers will fit in your vehicle, you need to make sure the speakers you’re about to buy will fit first. Since speakers have moving mechanical parts to produce sound, you can break them in to move these parts more freely. There are two components of a speaker that benefit from breaking in speakers—the surround and the spider. The surround connects the edge of the cone to the speaker basket. And the spider connects the speaker basket to the center of the cone. Both of these components are flexible, so by breaking these in, you can allow them to have a fuller range of motion, free movement, and better sound. To break them in, you can play music with a wide dynamic range, and turn the speakers up higher than you normally would. This will cause the speakers to move more and loosen up the speaker components and material for increased flexibility. 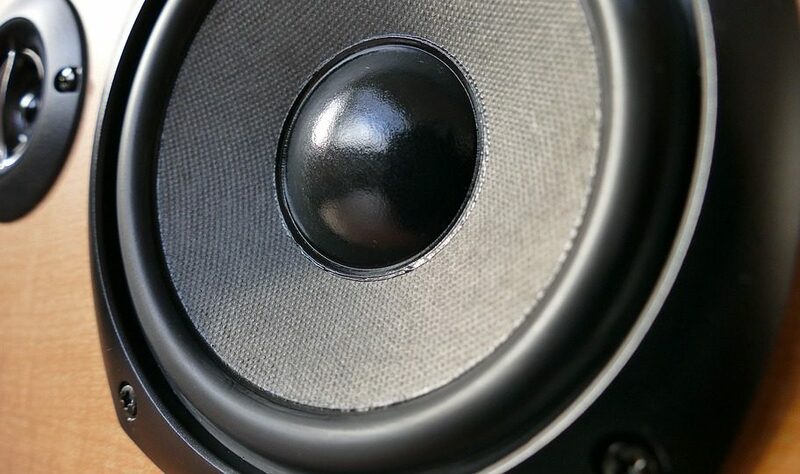 It typically takes about 100 hours of use to fully break in your speakers. While some speakers will produce a dramatic difference in sound after breaking them in, others may only produce a marginal difference in sound. Once you’ve broken in your speakers, you can enjoy your car stereo to the fullest with quality sound from your new speakers.